There’s something so endearing about a child wearing a fun hat. 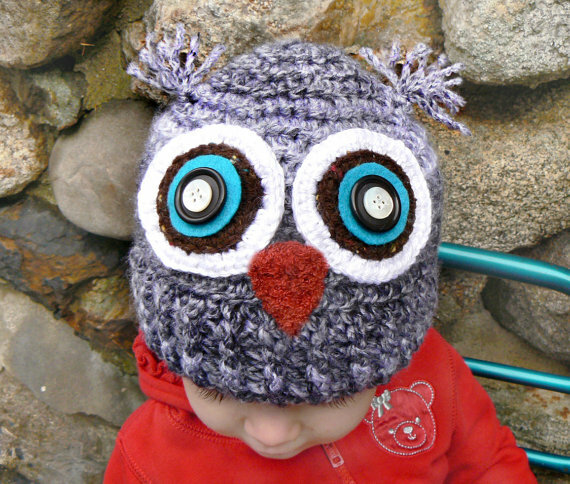 MP came across this crocheted owl hat on Etsy and she’s thinking it would look great with CP#1’s red winter coat. But who says kids should get to wear all the fun hats? Lewiston mother and self-described crochet addict Shanna Tice also makes a version for adults. She’ll even customize colors for you. To learn more about Shanna and her work, visit her Etsy shop. My daughter has this hat! It’s adorable and we love it!